It’s the week before one of my favorite holidays – Thanksgiving! And to celebrate I will be posting delicious pumpkin recipes all week long! Today I am starting with a delicious snack, butter salted pumpkin seeds! I have always wanted to try baking pumpkin seeds but never got around to it! If you are like me and want to try it, all you have to do is follow the directions below! If you are already planning a pumpkin carving night, this would be a perfect snack to make for your hungry carvers! 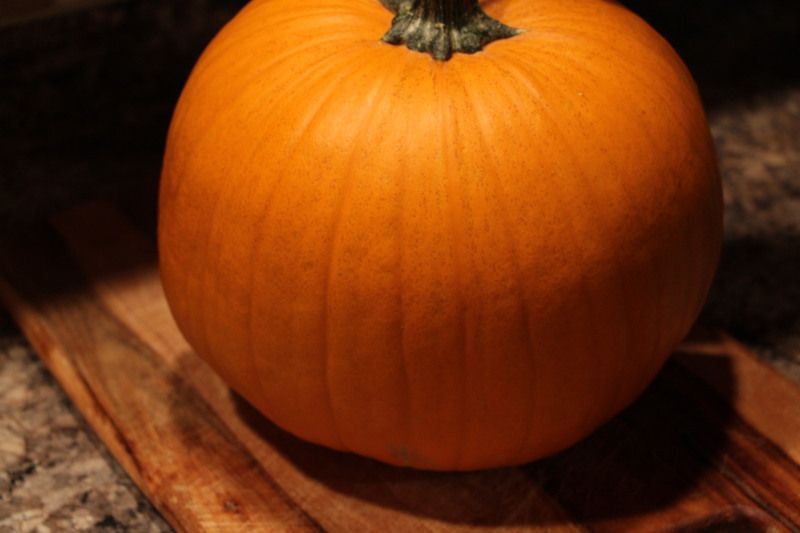 Enjoy, and stay tuned for two more great pumpkin recipes coming your way! Start by buying any sized pumpkin. Cut it in half horizontally with a sharp knife. Pre-heat your oven to 350 degrees. 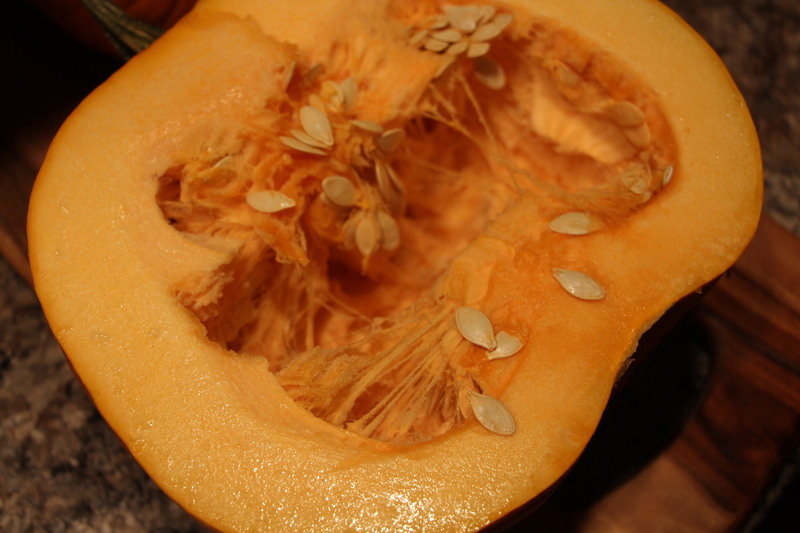 Once it is in two pieces, scrape out the ‘guts’ and seeds using a tablespoon. 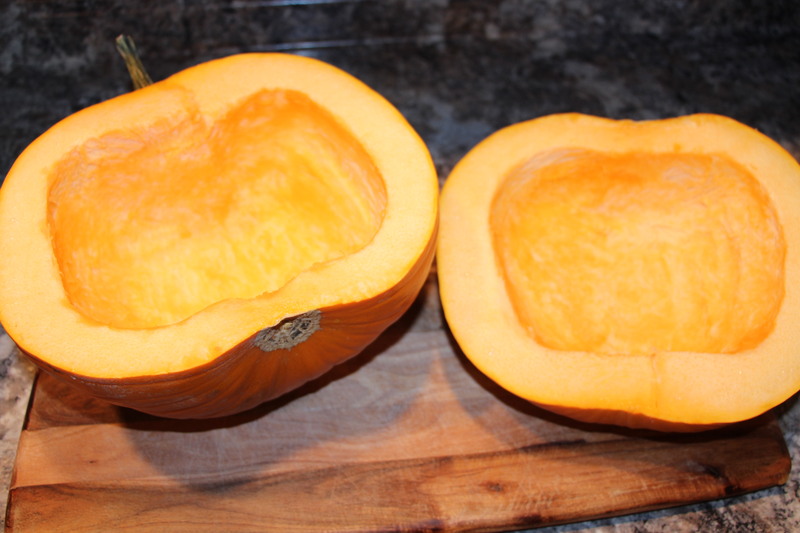 Make sure the inside is nice and clean (great if you are going to cook the pumpkin for other recipes like I did). 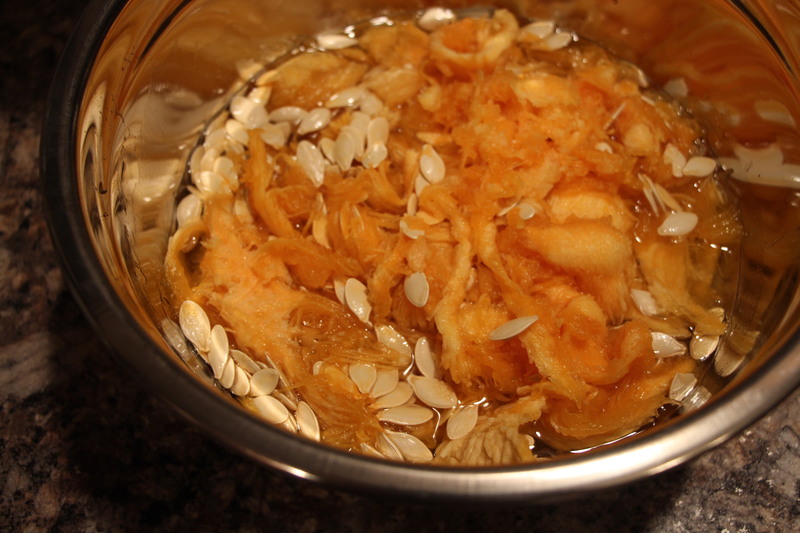 Put the insides of the pumpkin into a bowl and fill it with water. With your hands, rub out the seeds and place them on a piece of paper towel to dry. 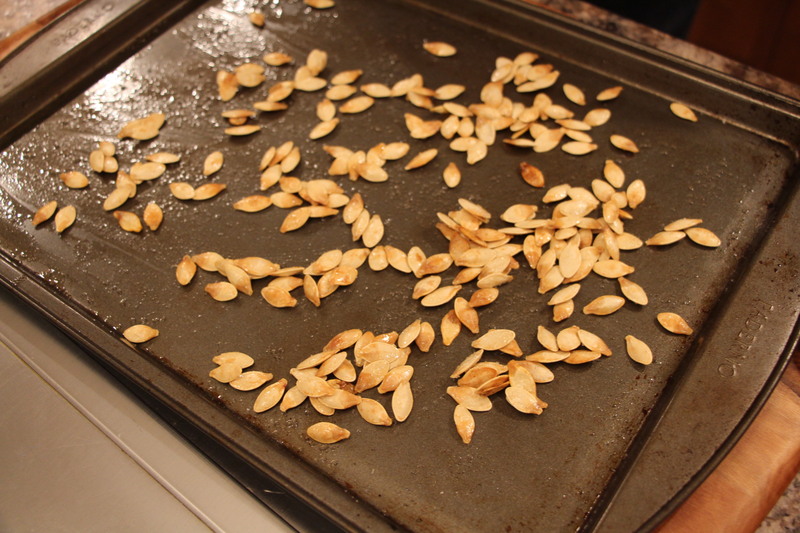 Make sure that all of the seeds are clean and dry before putting them on the baking sheet. Before you put them in the oven, cover them with melted butter using a kitchen brush and sprinkle salt to taste. Cook them in the oven for about 15 minutes or until golden. Cool and enjoy!